We want you to weigh in. Do you think the government has a responsibility to provide health care for its citizens? 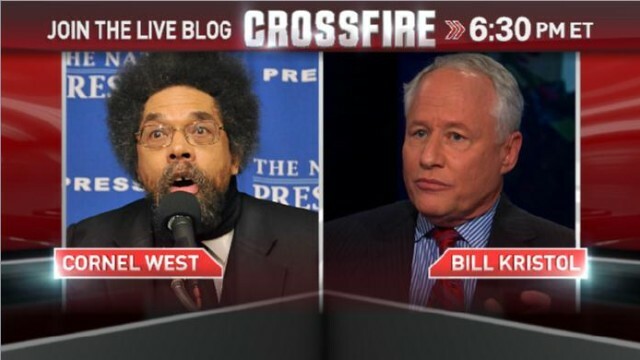 You can also join the conversation by tweeting with #Crossfire. I love the blind insinuation that health insurance is the same thing as health care. It's either Soviet style propaganda or sheer ignorance. The question should be; "should we cut down on certain area of spending? In order to ensure that all American citizens be protected by some form of heath insurance? Yes keep and fix the glitches, poor wording, etc. Clarify insurance company benefits vs. subscriber needs for coverage. America was born out of the rejection of exploitation. The need to protect and develope the colony. How then does the Republican Party reject and encourage the wider America to reject the extension of medical care to the less fortunate in society. Universal healthcare ranks among the basic duty of government: Education, security, economic stability and Universal Healthcare. America was built on exploitation...slavery...hello? The American ideal has always been freedom over equality. The problem is that they are mutually exclusive, and freedom has usually only been secured for the elite. America is "a rich man's vision but a poor man's prison". I think the debate over healthcare is one area where this truth is coming to light. The CNN network is the worst channel for liberal or progressive hosts since it got rid of Eliot Spitzer who ran rings around conservative morons. Now they only have people like Kathleen Parker who could only welcome guests. Please get some liberals as hosts who are intelligent and can put the Neanderthals in their place. Do you realize how expensive it is to be poor in this country? Why do we always talk about 'fiscal responsibility' and personal responsibility when it comes to a safety net - so desperately needed with a lack of living wages, yet we NEVER have that same moral outrage when it comes to bankers, CEO salaries, government subsidies of big business. As is stands now WE pay/ subsidize Wal-Mart's health care. We don't talk about personal corporate responsibility when the right wants to subsidize them into profit. Your show tonight is a 10! The best political show I have ever seen. Show both sides with no spin perfect. There are so many provisions wrong with this bill, the language is ill-formed in several locations and there are known "glitches". I mean the rationed care by a group of medical "experts" is reason enough to 86 this thing. Do you want to be in a bind with a sudden illness and at the mercy of an invisible power that decides your fate based on budget allowances? Not me. Who defines what pre-existing conditions are? Who defines when you cut a person loose and stamp him/her as unsalvageable or not worth the cost to remedy the situation? This bill, like all acts of consolidation, effectively delivers power into the hands of few people. It does the exact opposite of what it preaches to accomplish, and the middle class will feel the bulk of the hardship. So true ,and you did read the law. The problem with this debate over healthcare is that the government's fix is an insurance fix and not a systems fix. There are no plans to address tort reform that drives up healthcare costs and drives providers out of the system to other professions or retirement. There are no plans to address the fact that the AMA and the specialty and subspecialty organizations control the number of residents who may enter a physician specialty thus gerrymandering the supply of physicians. There are no plans to address expanding existing programs like the number and supply of community health centers that offer health, dental, and mental health services based on the poverty level yet are also open to all in need of services. There are no plans to expand Rural Health Clinics which provide primary care regardless of the patient's ability to pay. There are no plans to expand Area Health Education Centers to expand secondary care services in rural areas and train ancillary care providers that then may be recruited into health shortage areas and medically under served areas. It appears that the quick solution is to create another government bureaucracy when the foundations for a real universal healthcare system are already in place, working for years and able to address the needs of the population with a little thought and expansion of scope. TV talking heads do not get it....one person talks,, the other listens, then the other person talks and that is intelligent conversation. reason to switch from Today Show to CBS Morning with Charlie Rose because THEY GET IT! Why not amend the law? The single and most important aspect of the ACA is to guarantee every American has the right to purchase health insurance with no medical restrictions, and cannot be denied coverage. The second most important aspect of the ACA is the emphasis on prevention. Is mandate necessary?